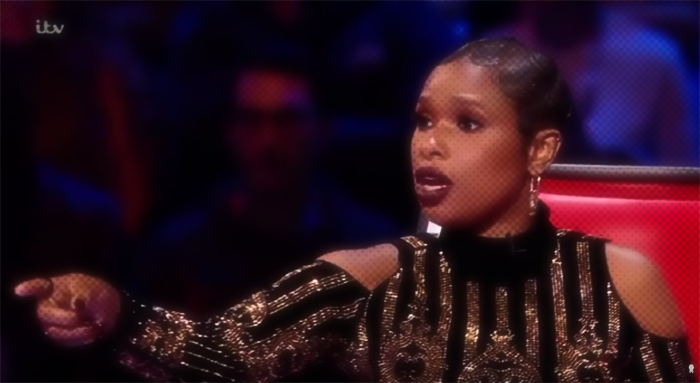 Diva Devotee: [Proof] Jennifer Hudson doesn't SHOUT (or Warm-up) when singing. [Proof] Jennifer Hudson doesn't SHOUT (or Warm-up) when singing. Some of y'all wanna clown Jennifer Hudson, calling her "Foghorn" and "loud". Adjectives I can kind of get, if I try really hard. What I can't be dealing with, is people saying she shouts when she's hitting notes your faves could only dream of. There is a clear difference between shouting and singing. One takes control, coordination and skill, the other is an unfocused and chaotic push to create sound. If you can't tell the difference, watch as the Pocketbook singer schools a Voice contestant on the difference between the two all while offering helpful tips on staying on pitch. Now this is the kind of judge I've wanted to see on these talent shows: One who both gives advice but SHOWS the advice in practice! Go ahead, gurl! If that wasn't impressive enough. Turns out Jennifer doesn't even warm up before she performs [check the YouTube video]! Now I'm not condoning that. We've recently seen how not maintaining a good vocal routine can ravage a voice. I'm just more shooketh than anything else.